The specially formulated ChromaLife100+ CLI-42PM Black Ink produces professional quality photo prints and superior longevity, perfect for displaying your printed works of art. Canon's proprietary FINE (Full Photolithographic Inkjet Nozzle Engineering) technology delivers exceptional sharpness and detail. 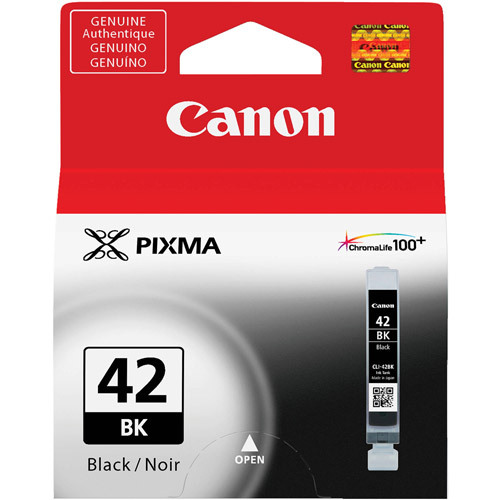 For the best printing results, always use genuine Canon ink and photo paper. Plus, Canon's individual ink system can help increase efficiency by reducing waste and saving you money since you'll only be replacing the colour that runs out.